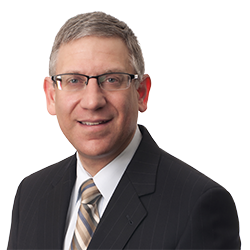 Adam P. Forman | Littler Mendelson P.C. Adam P. Forman advises employers in a broad range of employment law matters. His practice is dedicated to providing day-to-day counseling to clients on all issues that touch the workplace and to drafting critical employment-related documents such as employment contracts, severance agreements, handbooks and reduction-in-force documentation. He conducts employment-related trainings for clients on topics as varied as harassment prevention, hiring techniques, conducting investigations and boot camps for managers. Adam is the exclusive winner of the 2016 Client Choice Award in the Employment & Benefits category for the Commonwealth of Massachusetts, issued by the International Law Office and Lexology. He is an active member of the firm's International Employment Law Practice Group, and he co-authored the firm’s Start-Up Guide For Foreign Employers. Biannually, he conducts a course on U. S. employment laws in London and has conducted similar courses in Dublin and Tel Aviv. Massachusetts Voters Said Yes To Paid Sick Leave… Now What?